The strange medical condition that can turn your skin blue. 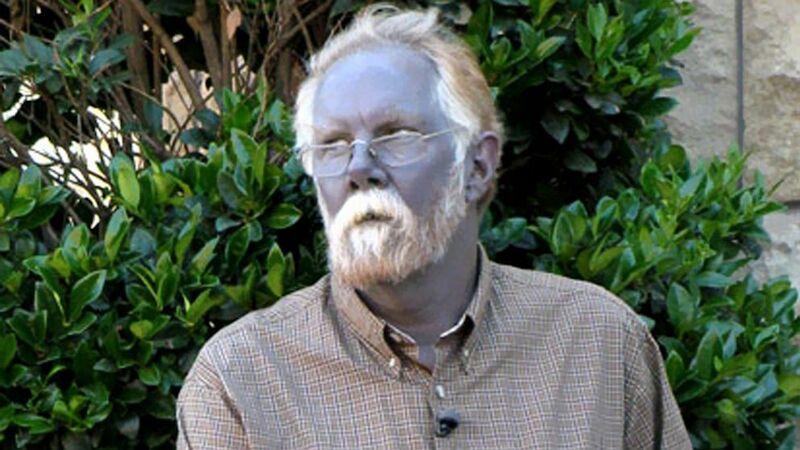 Paul Karason used to be fair skinned but then something freaky happened – his skin turned blue. A bizarre medical condition turned Karasson’ red hair white and turned his skin dark with a blueish tinge. Karason, from Oregon, said he didn’t realise his skin had changed until he met a friend he hadn’t seen for years. In 2008, Karason, after appearing on TV, became an internet sensation and was dubbed “Papa Smurf”. But what caused Karason’s Smurf like condition? In the late nineties Karason had started taking dietary supplements – he was to later discover that these were the cause of his strange condition. An advert he saw in a new-age magazine had promised miraculous rejuvenation by the ingesting of colloidal silver dissolved in water. Fans of alternative medicine have for many years colloidal silver wonder as a medical wonder claiming it cures all manner of illnessses. America’s Food and Drug Administration (FDA) officially disapproves of colloidal silver in medications, but due to its antimicrobial properties it can be found in items as varied as socks, bandages or commercial eye drops. 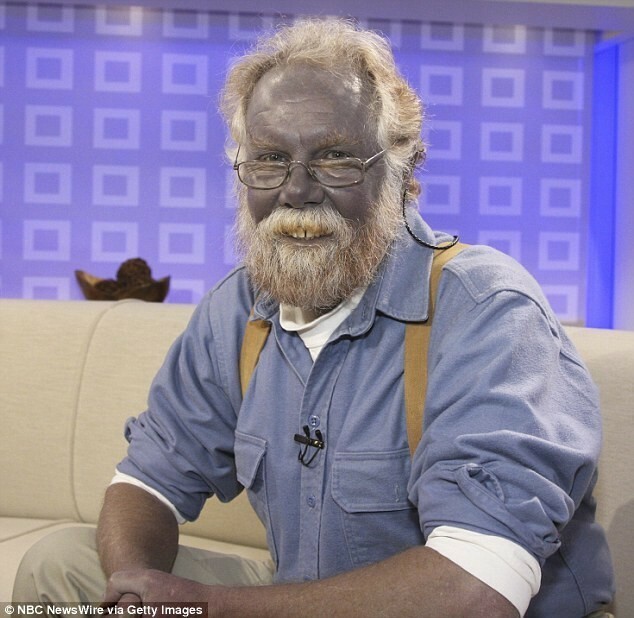 But you need to consume a massive amount of colloidal silver to turn your skin blue. Unfortunately, that is exactly what Karason was doing. He was drinking about 10 ounces a day of his collodial silver home-brew. This gave him a rare medical syndrome known as argyria or silver poisoning. Treatments for argyria are still in their infancy, and so there is no current cure. Karason died in September 2013 at the age of 62 after suffering a heart attack. He’d previously had a severe stroke.